Prolife advocates in Rockland County gathered today for a prayer rally outside the Spring Valley Planned Parenthood office on Perlman Drive. 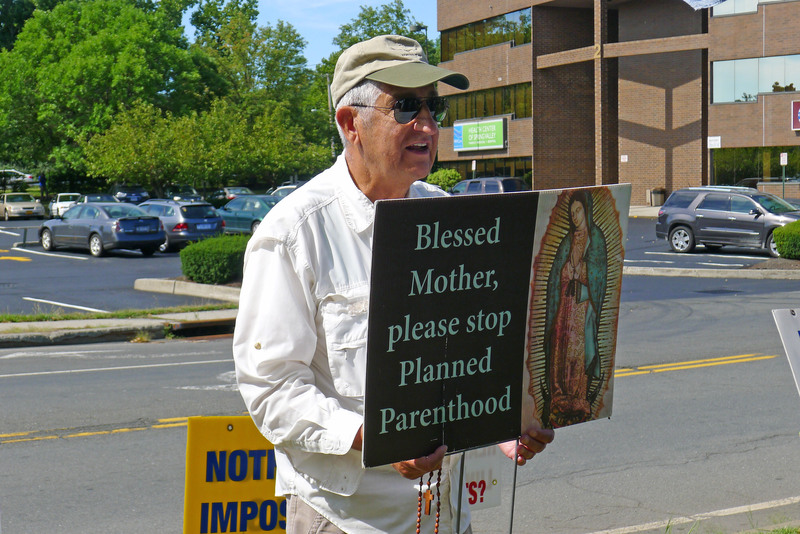 The event was sponsored by The Our Lady of Guadalupe Rosarians in solidarity with similar rallies, vigils, and protests being held in over 300 cities around the country today in the wake of the release of shocking undercover videos showing the abortion giant to be involved in the business of selling fetal body parts. 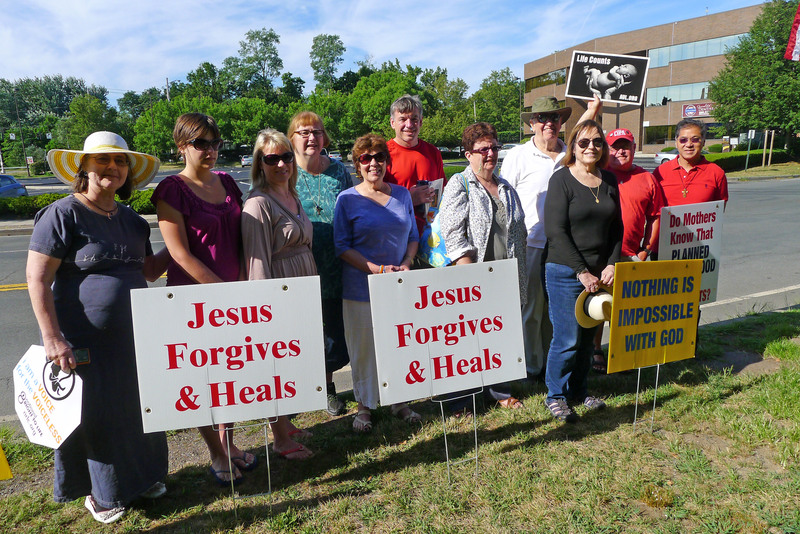 The program in Rockland began with prayer petitions for the unborn, those considering abortion, and those working for the abortion industry, and for the continued strength and commitment for all in the prolife movement. This was followed by the recitation of the Holy Rosary led by Deacon Rob Pang from St. John’s Church in Piermont and others. Hundreds of cars passed the prayer site with its many signs bearing prolife messages during the course of the two-hour vigil. 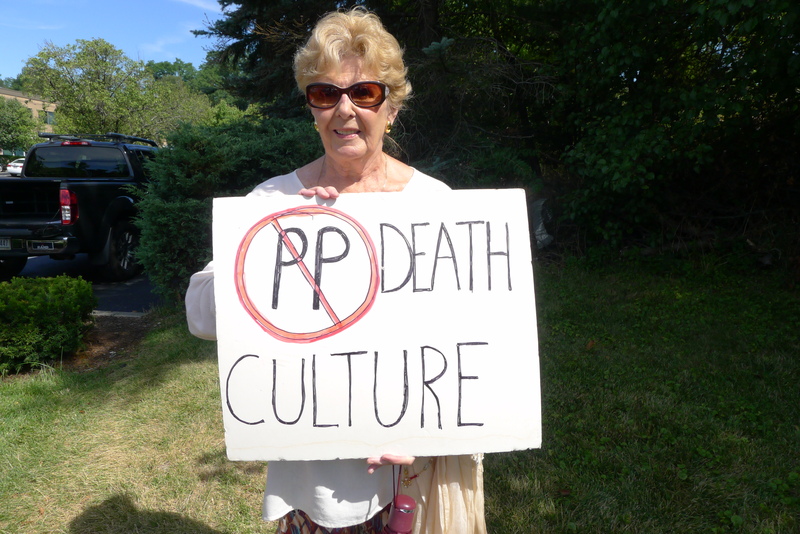 Eileen Peterson, the coordinator of Rockland’s 40 Days for Life campaign, noted that, appropriately, this day — August 22 — was the “Feast of the Queenship of Mary” and also the sixth anniversary of the death of Msgr. John Harrington, former vicar of Rockland and prolife leader, who was arrested several times for peaceably trying to save unborn babies and who was instrumental in closing an abortion clinic that used to exist in the county. The vigil concluded with a prayer led by Richard Bruno, of the Our Lady of Guadalupe Rosarians, consecrating to Our Lady all efforts to end abortion and the culture of death fostered by Planned Parenthood.and similar organizations. This entry was posted in Planned Parenthood, Prayer for Life by rocklandrtl. Bookmark the permalink.